Farming is hard work. Getting out there every day and shoving your hands in the dirt? We wouldn't last a week (Okay, we probably wouldn't last a day. You happy now?). But we can appreciate how hard it all must be. 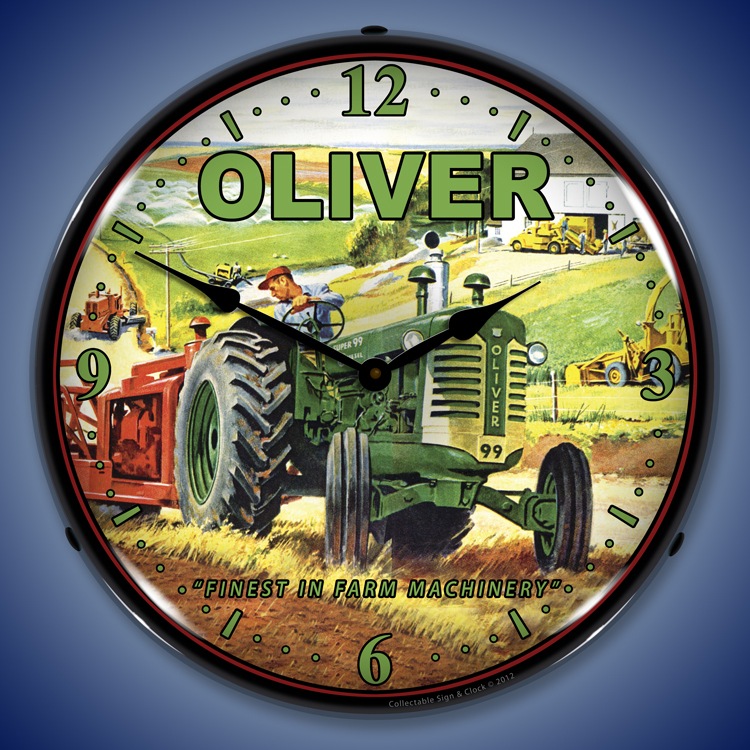 That's why we've put together this little collection of farm tractor wall clocks. We think they beautifully exemplify an aspect of our culture that's often overlooked. That sector of our community makes sure we have our produce, flowers needed components for medicines to keep us healthy and much more. 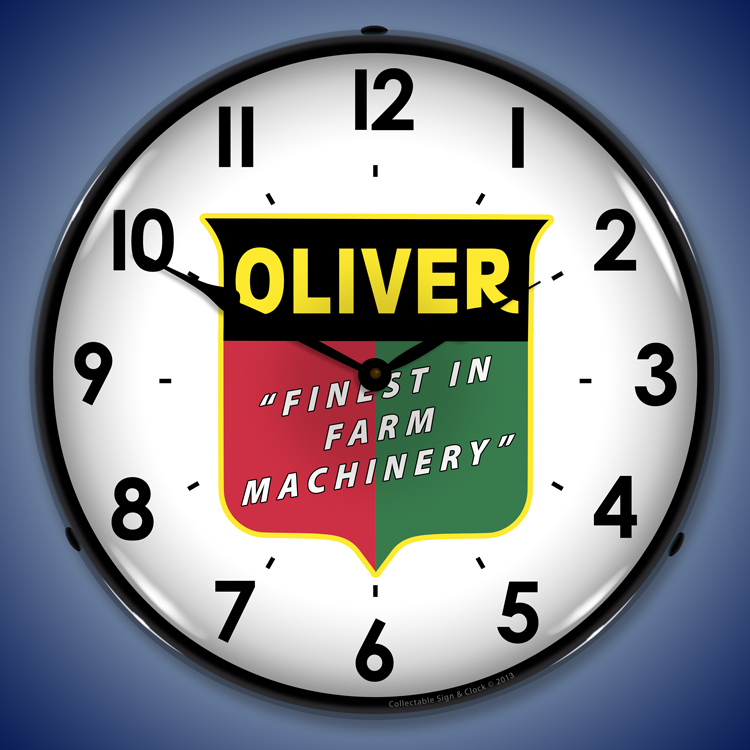 Among our farm tractor wall clocks is the classic Oliver Tractor clock. Designed with an array of green shades and emblazoned with 'Finest in Farm Machinery,' this time piece concisely depicts what the farmer does best: work hard. 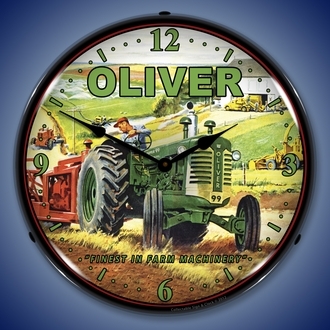 A prominent mid-20th century manufacturer, the Oliver Farm Equipment Company produced some of the highest quality crawlers and tractors, and this wall clock shows how practical they were. Our farm wall clocks wouldn't be complete without a tribute to International Harvester. This is a company whose roots in agriculture can be traced back to the 1830s with a horse-drawn reaper. Though it changed its name to Navistar in the mid-1980s, the name International Harvester, or IH, is still looked upon with respect. The IH logo time piece is simple enough, but it will stand out much like the company did for over a century. Like all our time pieces, these farm tractor wall clocks were designed using the finest technology available, even as the designers pushed for an old fashioned, 1950s feel. They were engineered using a modern printing technique that ensures the colors are as vibrant and crisp as the original source material. 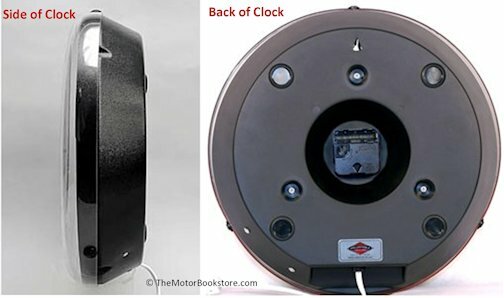 From the wiring to its Lexan lens, these backlit clocks promise to be of the highest quality with the most affordable prices.